Tours available on a first-come, first-served basis, then a wait list will be started. No fee will be charged until the participant is confirmed. It is recommended that attendees fly in a day before the tours (June 19) due to the limited flights into Sheridan. The Holiday Inn is offering a $99 rate for three days before and three days after the conference.The group code (SAT) can be used at www.holidayinn.com/sheridanwy or you can call 1-800-HOLIDAY and book a room under the block of the SATW Eastern Chapter. Transportation from the airport to the hotel will be provided on both the 19th and 20th. For info on all of the options to get to Sheridan, please visit: http://www.sheridanwyoming.org/plan-your-trip/how-to-get-here/. If you are planning to fly to Denver and then catch the FlySheridan flight to Sheridan, be aware that if you bring checked luggage to Denver, you will have to go into the baggage claim, pick it up, then check it in at the Denver Air Connection counter and then go back through security. It is simpler, if not perfect, to bring everything in a carry-on. Those Associates who will work Marketplace may want to ship their materials ahead to the hotel. Eaton’s Ranch Experience SOLD OUT! Experience life in the American West at its finest at Eaton’s Ranch, the oldest Dude Ranch in the US. A little R&R is just what you need before the meeting actually starts! 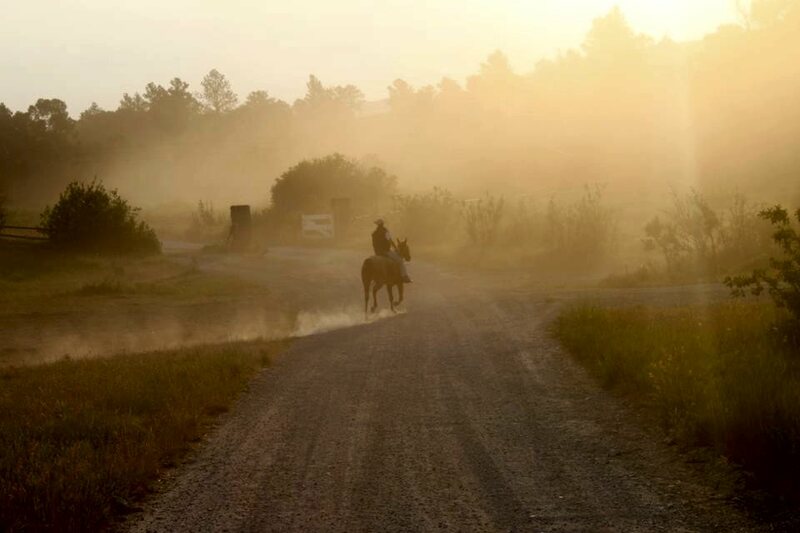 Spend two nights out on the ranch and find your inner cowboy or cowgirl with morning and afternoon horseback rides. No experience is necessary; the staff will saddle your horse and be there by your side at all times. Relax in the pool while taking in the scenery that surrounds you. Enjoy this time and let the stories and photo ops come to you. Recommended you are in good health, but nothing will be too strenuous so all fitness levels are welcome to join. For more information, visit http://eatonsranch.com. Please identify any dietary restrictions at time of registration. 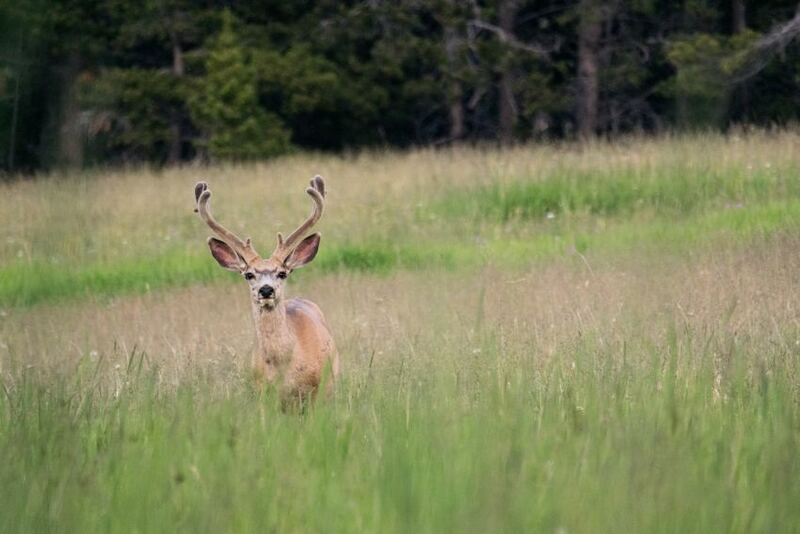 Spend two nights in the majestic Bighorn Mountains with knowledgeable local guides. 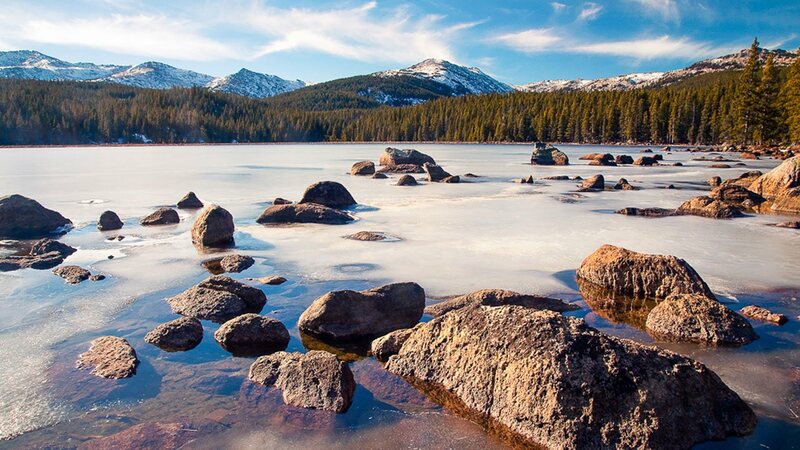 Hike, fish, photograph wildlife and climb in the Bighorn National Forest and the Cloud Peak Wilderness, one of America’s most stunning – and stunningly quiet – locations. After a thrilling ride up the Red Grade Road, arrive at the Coffeen Park Trailhead. From Coffeen the expedition party will trek roughly 15km (10 miles) through beautiful wilderness, skirting stunning Lake Geneva, and on to Crystal Lake, which is backed by exposed mountainside. Even in summer, while wildflowers bloom and deer, elk and moose graze, it’s possible to encounter snow in the high country. We’ll camp under the stars. Hiking continues on day two with another 15km (10 miles), depending on weather and participant fitness. Today’s hike will take us further into the high country, where we’ll camp above the trees at nearly 10,000 feet above sea level. We’ll wake early on the third day to make the long trek (15 km) back to Coffeen Park. Recommended for experienced hikers and/or participants in good-excellent condition. This is a physically demanding tour. Participants must be able to easily hike 15-24 km (10-15miles) a day, carry a 13-15kg (30-35-lb) pack and feel comfortable sleeping outdoors (in a tent or under the stars). Much of this adventure takes place above 10,000 feet – early acclimatization is highly recommended. It is extremely important to dress in layers when hiking in the Bighorn Mountains. While daytime temperatures are usually warm, evening temperatures range from 15-21°C (60-70°F). We recommend covering as much skin as possible/wearing sufficient sunscreen to protect from the sun’s UV rays. How many kilometers will we hike? Roughly 15km a day, dependent upon on the strength of participants. Some of the most stunning countryside in the Bighorn National Forest and Cloud Peak Wilderness. We’ll be hiking near the peak of wildflower season, so the terrain should be stunning. Hiking through beautiful wooded area, past lakes, over streams, and up onto high passes. This is Wyoming at its most stunning. Will I have to setup my own tent? Participants may choose to set up their own tent, but guides can help. One tent per participant unless otherwise requested (couples). What kind of food will be provided/Will I have to cook it myself? Part of the fun of the mountain experience is in prepping meals, but don’t fret about breakfast, lunch and dinner; our guides will help with all prep work. Participants will be required to pack in their own share of the food. Join us on the road trip of a lifetime up and over the Bighorn Mountains. We will visit the ancient Medicine Wheel, Porcupine Falls and head into The Bighorn Canyon National Recreation Area at the heart of Wyoming’s beautiful high desert. Stop in Historic Greybull where you will enjoy dinner and a good night’s rest. 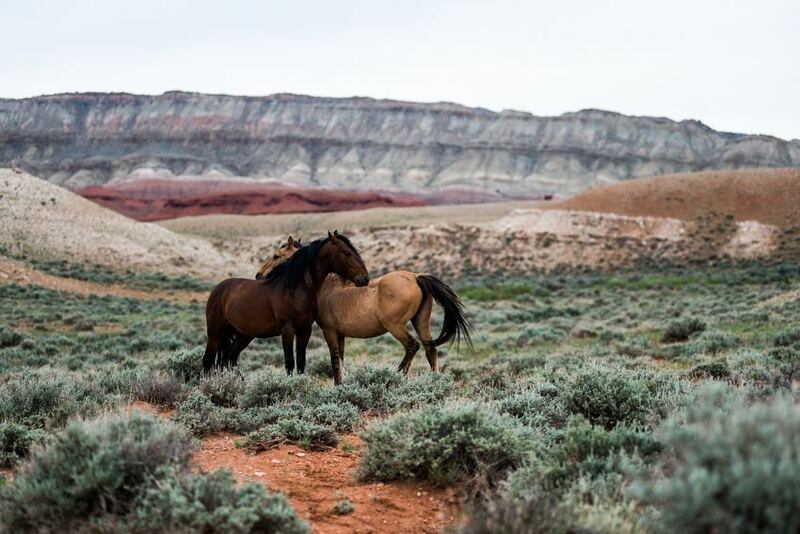 Start your morning off with a trip to see the wild horses at the Pryor Mountain Wild Horse Range and explore and experience Wyoming’s most remarkable Jurassic attractions through a fossil dig excursion. Return to Sheridan to enjoy your last night. Wake in time to catch the 1:38 pm flight back to Denver. As with any road trip, there will be frequent stops to photograph wildlife and landscape but participants can sit back, relax, and enjoy the ride. Some walking at over 9,000 feet of elevation and steep in other sections is involved so a moderate level of fitness is an asset. Sturdy footwear is required (no sandals or open-toed shoes). The hike takes someone of average fitness roughly 25-35 minutes each way. Projected distance of tour – 8 km. It is extremely important to dress in layers when hiking in the Bighorn Mountains. While daytime temperatures are usually warm, evening temperatures range from 15-21°C (60-70°F). We recommend covering as much skin as possible/wearing sufficient sunscreen to protect from the sun’s UV rays. It can be as much as 14°C degrees warmer at the Bighorn Recreation Area. Explore and experience some of the remarkable history and historic sites in the Mountain West. Leaving Sheridan, we’ll head north and cross the border into Montana, where we’ll drive through Crow Agency to the Little Bighorn Battlefield. This area memorializes the U.S. Army’s 7th Cavalry and the Sioux and Cheyenne in one of the Indian’s last armed efforts to preserve their way of life. Here on June 25 and 26 of 1876, 263 soldiers, including Lt. Col. George A. Custer and attached personnel of the U.S. Army, died fighting several thousand Lakota, and Cheyenne warriors. 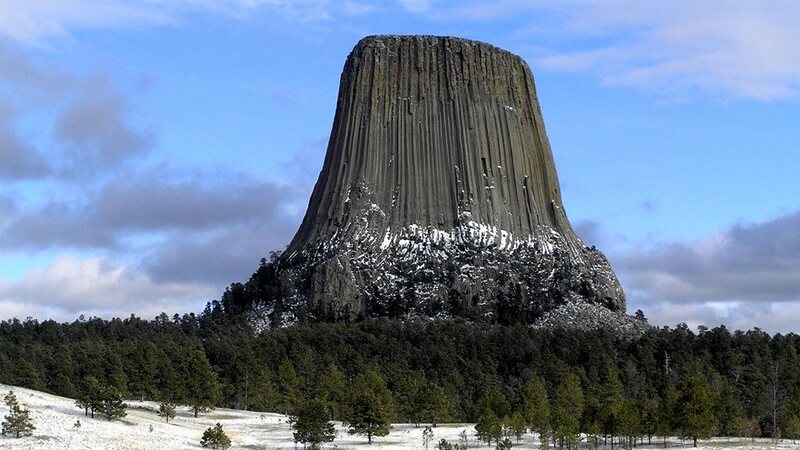 From Little Bighorn, we’ll travel east, over the rolling foothills of the Bighorn Mountains to Devils Tower, the first U.S. National Monument, a massive rock spire that rises dramatically 1,267 feet (386 m) above the surrounding terrain, with a summit 5,114 feet (1,559 m) above sea level. We’ll trek some of the gentle terrain, photograph the tower from every unique angle available, and experience the history of the area in the interpretive center. Following an overnight stay in Gillette, we continue west stopping in historic Buffalo, WY, for a quick tour of the downtown area, a bite to eat in the historic Occidental Hotel (hopefully we’ll encounter a cowboy poet or two), and finally a drive up Wyoming Scenic Byway 16 for stunning mountain views, wildlife encounters, and more. Return to Sheridan to enjoy your last night. Wake in time to catch the 1:38 pm flight back to Denver. As with any road trip, there will be frequent stops to photograph wildlife and landscape but participants can sit back, relax, and enjoy the ride. Some walking (at over 9,000 feet of elevation) is involved so a moderate level of fitness is an asset. Comfortable/sturdy shoes. (No sandals/open-toed shoes). Average June daytime temperature are warm with evening temperatures falling to 15-21°C (60-70°F). We recommend covering as much skin as possible/wearing sufficient sunscreen to protect from the sun’s UV rays. Bring a camera with plenty of fresh memory and batteries. In the Spring of 2011, the Northern Wyoming Community College District purchased Spear-O-Wigwam to enhance existing academic and recreational programming to provide new opportunities for students and the community. Spear-O is nestled in the Bighorn National Forest at 8,300 ft, a mere 5,000 ft below the highest Bighorn Mountain peaks. It serves as a gateway to Coffeen Park, Geneva & Edelman Passes, the Solitude Trail, and the Cloud Peak Wilderness. The pristine high mountain lakes, reservoirs, and streams that surround Spear-O-Wigwam add to the spectacular nature of the place. Spear-O-Wigwam offers visitors the ideal location to relax, enjoy fishing, take a hike, or mountain bike at your leisure. Spear-O-Wigwam is a remote location nestled in the Bighorn Mountains. It is a great way to unplug as there is no cell phone service or internet. Transportation to the Sheridan Airport for those who need to catch the 1:38 pm flight back to Denver will be provided. Enjoy two nights in a remote cabin in the Bighorn mountains located at Spear-O-Wigwam.